HAPPY MAY! If you follow me on Twitter or Facebook you may have read that I'm going to the Kentucky Derby this weekend. I have never been to the Derby before so as you can imagine I was incredibly excited when I found out I was going. First thought: WHAT AM I GOING TO WEAR?!? Second thought: WHAT WILL EVERYONE ELSE WEAR?!? Third thought: WHAT DID JESSICA SIMPSON WEAR WHEN SHE WENT?! Jessica Simpson: I love her girly and feminine Derby look. Pink + flowers. Kim Kardashian: Her black & white is SO glamorous. Also this picture made me decide I definitely wanted to wear gloves. So I actually found my derby hat in NOLA (read about my trip HERE) at a little boutique. I tried on a few different ones…. So on to the next important decision….the dress! I wanted a bold, bright and fun dress so I knew EXACTLY the designer I wanted to go with: Lilly Pulitzer. As you probably know, she is known for bold, standout patterns that I thought would be PERFECT for the Derby. Dress: check….hat: check….the next and final step (no pun intended) were SHOES! Oh the shoes. This was definitely a process. Normally with a dress I LOVE wearing heels (truthfully I just love heels in general with anything I wear!) but I knew I would be on my feet ALL.DAY.LONG. So, the logical side of me was saying: go for COMFORT. I mean let’s be honest, I’m not really a fan of the “I need to sit down right this second because I feel like my feet are about to fall off” feeling. But the FASHIONISTA side was saying: WEDGES!!! Wedges are such a great option for a day-time heel. So which did I chose??? After spending about an hour and a half in the shoe department I settled on these….. I know you are shocked that Fashionista Ashley didn’t win. What happened?! All I have to say is there is a first time for everything. I knew I would be a much happier girl if my feet weren’t hurting all day!!! The sandals I bought are by Gianni Bini who I LOVE (he makes great shoes + purses). I really had SO much fun picking out my Derby outfit. 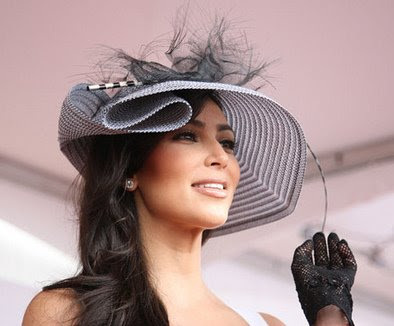 I feel like the Kentucky Derby is a truly classic southern event and this southern girl is SO excited to go. So is anyone reading right now going to the Derby??? Oh I would LOVE to hear what you’re wearing or any tips for the day! I can’t wait to post a re-cap afterwards so definitely be on the lookout for that! Thank you for reading dolls & have a WONDERFUL weekend!